From Bobby Charlton to Eric Cantona; Johnny Carey to Denis Law; Dennis Viollet to Bryan Robson and Roy Keane to Gary Neville, many inspirational legends have worn the armband at Old Trafford. 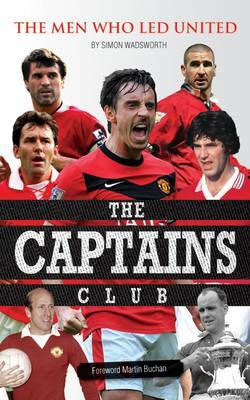 The Captains Club: The Men Who Led United recounts the fortunes of the heroes who made history and helped build United into the formidable footballing force they are today. Author Simon Wadsworth has researched in detail the story of every club captain in Old Trafford history, tracing their backgrounds before they arrived at United and chronicling their playing career. The skippers themselves look fondly back on their United years and colleagues and journalists who knew the Red leaders analyse their vital contribution to the cause. The Captains Club: The Men Who Led United is a unique collection of portraits that will appeal to fans of all ages wanting to revel in the club's unparalleled history.